Southwest has a great rewards program that offers solid perks for its users. 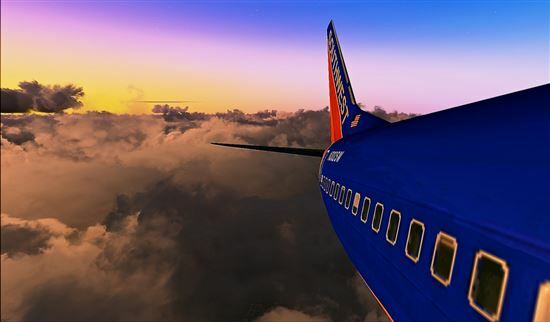 Southwest is also one of the best airlines for finding budget flights throughout North America, Central America, and the Caribbean. But listen up: the best part is that you don't have to fly to earn a ton of miles. 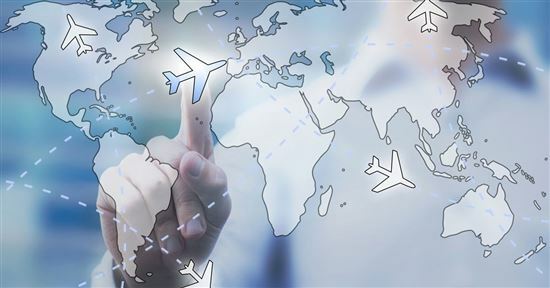 Follow our tips and you'll be flying with airline points in no time. How can I earn more Southwest Rapid Reward points? There are a couple of different routes for earning points with credit cards. Chase has both Southwest co-branded cards and travel reward cards, such as the Sapphire Preferred and Reserve, that will transfer points to Southwest. 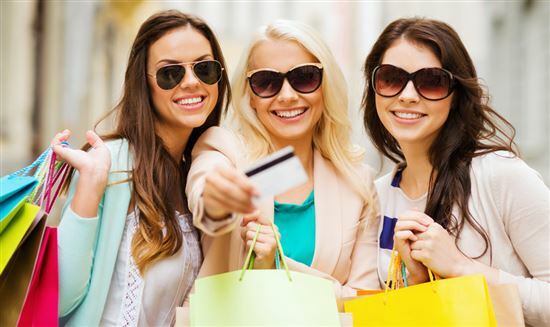 Chase Ultimate Rewards (UR) is one of our favorite rewards programs because it's so versatile and valuable. All Ultimate Rewards points transfer to Rapid Rewards at a 1:1 ratio (1,000 UR points = 1,000 Rapid Rewards points). Heads up: UR points transfers do NOT count towards the Southwest Companion Pass. Chase UR points are easier to rack up because of the bonus categories. Chase Sapphire cards give you bonus points on dining and travel purchases. Definitely use them at your favorite dinner spot. Plus, Chase has a great shopping portal to earn even more points. Read on to see our breakdown of your Chase Ultimate Rewards options. If you travel several times a year, you should definitely take a look at the Sapphire Reserve promotion. How many points do you need for a free flight on Southwest? Southwest's award system is cost-based. So how many points needed depends on the cost of the flight. On average, we estimate each Rapid Rewards point to be worth about 1.6-2.0 cent each. This means 10,000 points can be used to redeem a flight that costs around $160 - $200. Southwest has a few options when it comes to their Chase co-branded cards. These are great for earning generous sign-up bonuses and doubling your points on Southwest purchases. You also get a bonus on your card anniversary. 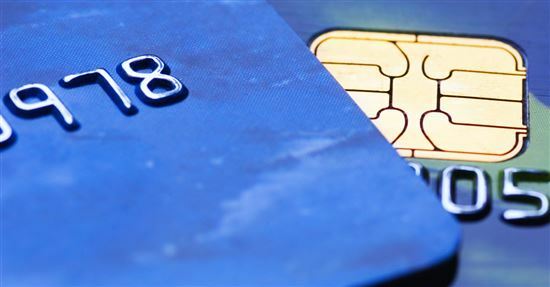 Read on to see the breakdown of the Southwest credit cards. Introductory Bonus Airline Rewards: Earn 40,000 points after you spend $1,000 on purchases in the first 3 months. Introductory Bonus Airline Rewards: Earn 40,000 points after you spend $1,000 on purchases in the first 3 months. Airline Status: There are no blackout dates or seat restrictions when you redeem with points. Bags fly free and there are no change fees. Airline Status: There are no blackout dates or seat restrictions when you redeem with points. Bags fly free and there are no change fees. 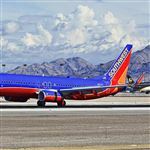 Southwest Rapid Rewards Plus: Pricing information including interest rates, benefits and fees was obtained on February 12, 2019 from published websites and is believed to be accurate, but not guaranteed. 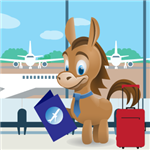 Disclaimer: The information for the Southwest Rapid Rewards Premier Credit Card and Southwest Rapid Rewards Plus Credit Card has been collected independently by CreditDonkey. The card details on this page have not been reviewed or provided by the card issuer. Tip: The Companion Pass is easily the biggest perk of a Southwest Rapid Rewards card. You get a Companion Pass when you earn 110,000 qualifying Rapid Rewards points. Once you hit that milestone, you get to choose a partner to fly with you on unlimited Southwest flights until the end of the following year. If you fly on points, you are basically doubling their value. With the sign-up bonus on the cards, you're making progress toward the Companion Pass. Rack up some more points through the dining or shopping program, and you'll have the 110,000 points. This is especially good if you time it right. If you hit that 110,000-point mark in January, you can enjoy the Companion Pass for the rest of the year and the following year. One downside of these Southwest cards is that they don't offer many extra perks (such as priority boarding). And they don't have any bonus earning categories. If you care more about earning as many points as possible, check out the Ultimate Rewards cards instead. The Southwest Dining program gives you points for eating out at partner restaurants. The process is really simple. Just sign up for Southwest Rapid Rewards Dining and register a credit card. When you pay for a meal at a participating restaurant with that card, you'll earn 1-3X the number of points. You can register whichever card you want, it doesn't even have to be a Southwest card. To get even more points, register a card that gives you bonus points for dining, like one of the Chase Sapphire cards. There are over 1,000 restaurants registered with the program. Just type in your zip code in the website and start eating and earning at the same time. Are you a Diners Club member? Southwest and Diners Club allow you to transfer points between the two. However, the transfer ratio is 5:4 (5 Diners Club points = 4 Rapid Rewards points). Essentially, you are losing 20% of your points. Consider this option only if you need a few extra rewards points for a flight. Southwest also has an impressive online shopping portal that gives you great bonuses. Log in to the portal with your Rapid Rewards information and shop away. You can earn 2-6X the points depending on the bonuses being offered by each store. Check out the "Rewards Rally" and "Offers" for especially good deals. You can even get extra perks like free or expedited shipping. Just like the Dining program, you don't need to use a specific card. If you do use your Southwest card, you'll earn one point per $1 spent plus whatever points the shopping portal offers. Wanna Get Away fare is the most budget-like option. Fares are nonrefundable. Anytime fares are refundable and changeable. Business Select gives you more perks, like free drinks and priority boarding. If you have flown enough to earn elite status with Southwest, your points earnings get bumped up as well. A-List status. This is reached when you take 25 one-way flights with Southwest in a calendar year, or earned 35,000 points. These 35,000 points can't come from sign-up bonuses, unfortunately. Once you hit A-list status, you earn 25% more points for each flight. For example, for a $200 Business Select flight, you earn 3,000 points (2,400 points + 600 bonus points). A-List Preferred status. This is reached when you take 50 one-way flights or earn 70,000 points. When you get to this status, you earn 100% more points for each flight. That $200 Business Select flight will now earn you 4,800 points (2,400 points + 2,400 bonus points). There are lots of ways to bump up your points earnings through flights. Consider buying a higher level of flight and purchasing with a Southwest credit card to maximize your points. Southwest's Companion Pass (after reaching 110k points) is one of the best airline travel deals. A companion can fly with you for just taxes & fees on unlimited Southwest flights for the rest of the year, plus the entire next year. 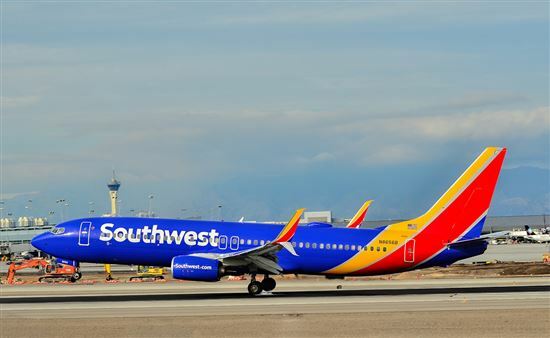 Southwest only charges a $5.60 Security Fee each way for domestic award flights. There are many ways to earn points without flying. Southwest Vacations can set you up with a great vacation package that will also earn you points. You can even specify which parts of the vacation you want included: hotel + car, flights + hotel + car, etc. Points earned is based on the package, price, and your member status. Southwest teamed up with Booking.com to create their own hotel portal. By booking through the portal, Southwest will add in lots of bonus points. They have hotel deals all over the world, even in cities where they don't fly. Check out their "Special Offers" tab, where you can find some good deals and earn extra points. If you book through Rocketmiles, you can also get 1,000-10,000 bonus points. A lot of these hotels will also let you transfer points from their rewards programs to Rapid Rewards points. This is generally not a great idea because the transfer rates are never good. However, if you need a few points to buy an awards flight, you can consider it. For example, you can transfer 50,000 World of Hyatt rewards points for 24,000 Rapid Rewards points. With that transfer, you'll also get a bonus 6,000 points, for a total of 30,000 Rapid Rewards points. Again, not the best idea, but good for those extra points you might need when you're close to buying an awards flight. Earn 600 points per rental when you rent a car with Alamo, Avis, Budget, Dollar, Hertz, National Car Rental, Payless, and Thrifty. Occasionally, there are some bonus deals as well. Be sure to enter your Rapid Rewards information at checkout to earn those points. You can also use Southwest's ground transport partners to get yourself around. Take ExecuCar or Super Shuttle (they're the same company) to earn 150 points per one-way trip. With all of these companies, you'll earn a sign-up bonus (after a certain period of time) and points multipliers for the dollars spent with them. There is a bit of a trick here. You can't enroll in these programs whenever you want. You have to sign up during an enrollment period. If they aren't taking new enrollees, you can sign up for email alerts to hear about the next opportunity. If you have friends who are feeling generous, they can gift you some points. Problem is, it's going to cost you. It will also significantly devalue those points. You can transfer points for one cent each. Transferring 10,000 points will cost you $100. The only reason to do this is if you only need a few extra points to buy an awards flight. Transferred points don't count towards earning a Companion Pass. The nice thing about Southwest, though, is that it doesn't matter who buys your flight. If you have a miles-rich uncle who wants to get you a flight with his points, he can do that. He just puts the ticket under your name and pays with his points. This is always the very last resort to earn points because it really defeats the purpose of points. Again, the only reason for it is if you are very close to paying for an awards flight. If you find yourself needing a few extra points, you'll pay 3 cents per point. That's more than the points are actually worth. 1,000 points will cost you $30. Points that you buy will also not count towards a Companion Pass. Southwest has some outstanding options for earning points. There is also a reason it consistently ranks in the top of the list of best airlines to fly. Use our tips to start flying Southwest for pennies. Also, have we mentioned that super valuable Companion Pass? Leave a comment about How to Earn Southwest Points Fast?